Whether you’re at home, at work or somewhere in between, recycled materials are present in almost everything we use. As the recycling industry grows, technology is rapidly improving. More of what was once seen as trash can now be considered recycling. 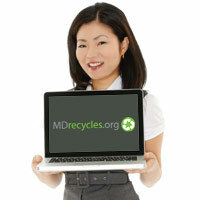 On mdrecycles.org, you’ll discover which materials are recyclable, the outlets available for residential and business recycling as well as companies that will pick up your recyclable material. As a business you’ll learn how to reduce your waste management costs while helping to create a cleaner environment for all of us. 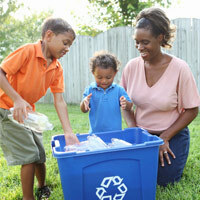 If you’re a resident, please see our residents’ page for all of your recycling needs. You are welcome to check out the donation and recycling directories for more options with private and non-profit organizations. If you’re a business, please see our recycling and donation directories as well as other resources for implementing waste reduction and recycling in your office.